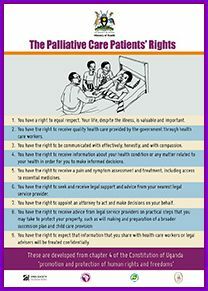 Legal and human right resources for patients and health care workers. 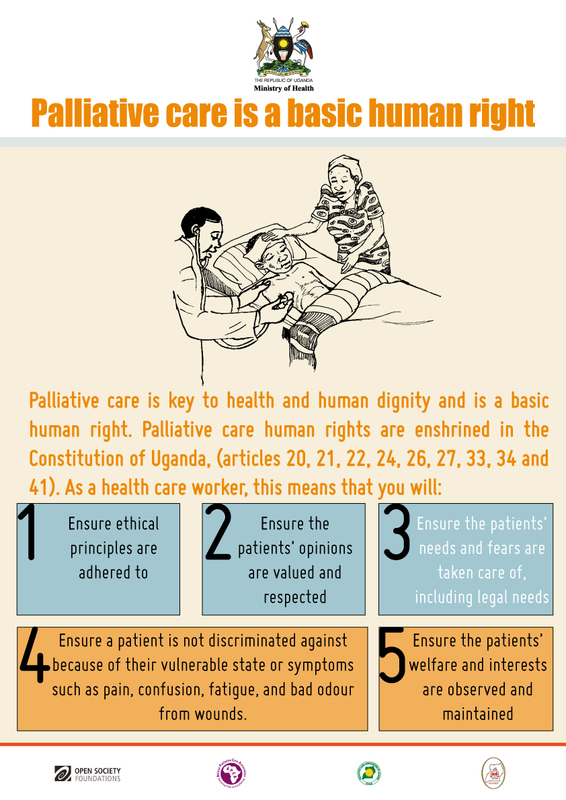 This guide for patients and their families, which the Government of Uganda has developed in collaboration with its partners, highlights patients' rights in relation to access, humane and ethical care, and the delivery of palliative care. 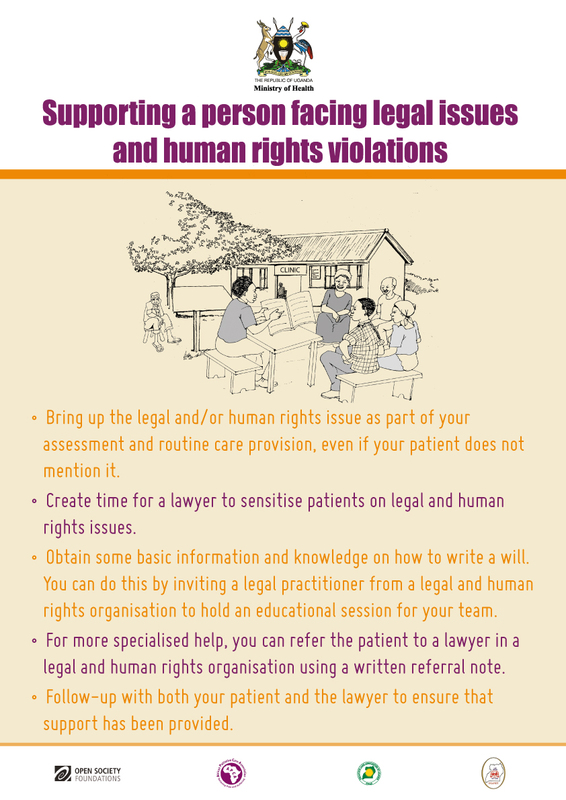 The guide helps patients to understand their rights in relation to the care received and provides insights into the common legal and human rights issues they may encounter, and encourages them to share these with the health care provider for support. 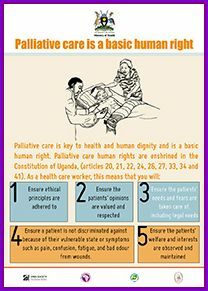 The Government of Uganda, in collaboration with its partners has developed this simple guide for health care providers which helps health professionals understand their obligation and role in providing such care. 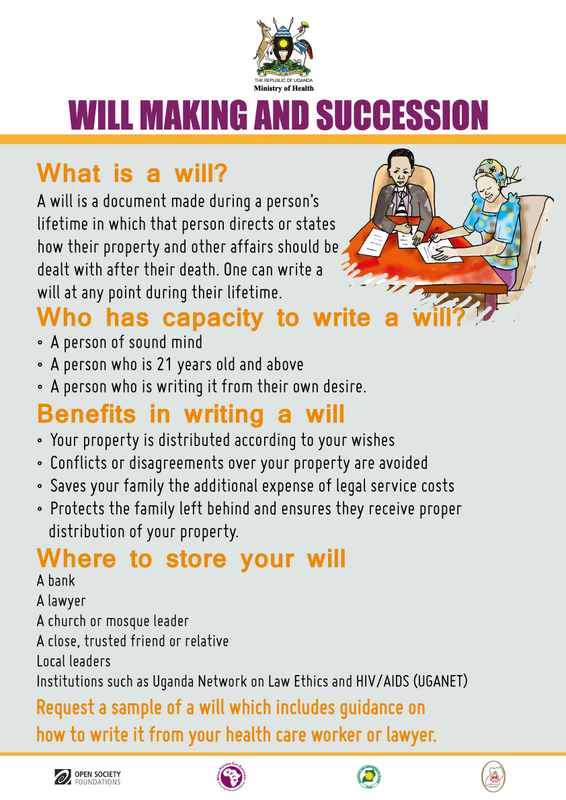 The guide provides insights into common legal and human rights issues they are bound to meet while dealing with patients receiving palliative care and their families and how they can support these patients. 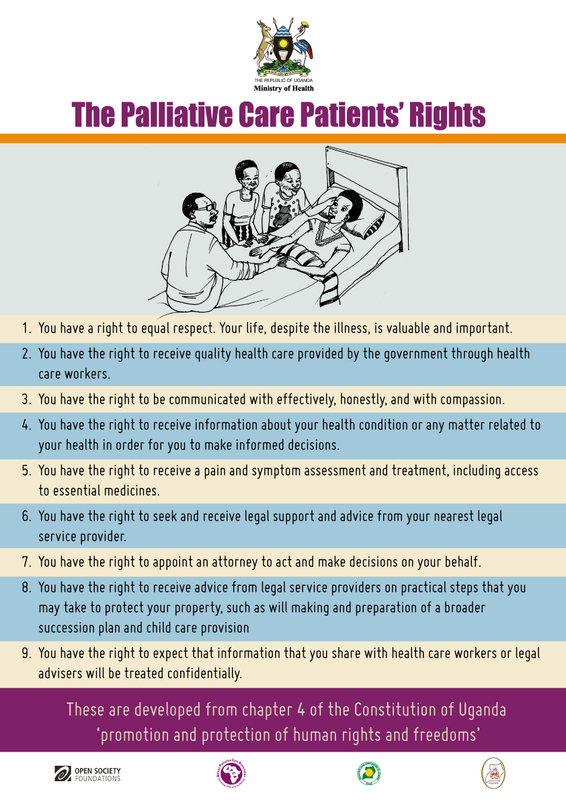 Palliative care patients and their families often face challenging legal issues, and many health professionals are unclear as to how to support these needs. 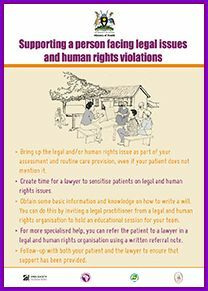 APCA and its partners, with generous funding from OSIEA, have developed a series of posters that explain basic rights of palliative care patients and how to support them address their legal needs. These have been adopted by the Uganda Ministry of Health. To download the posters, click on the English versions below. 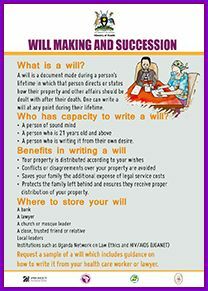 Click here to download the posters in Luganda.